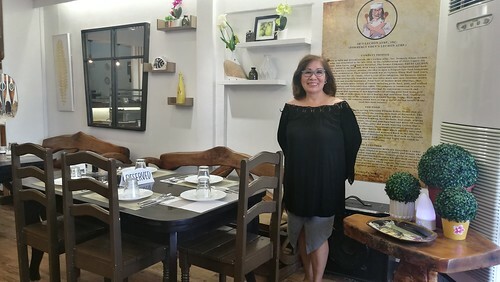 Mommy Gaya Restaurant by Eden’s is a nice and cozy new restaurant located at San Francisco Street in LaVerna Hills Subdivision, Buhangin, Davao City. 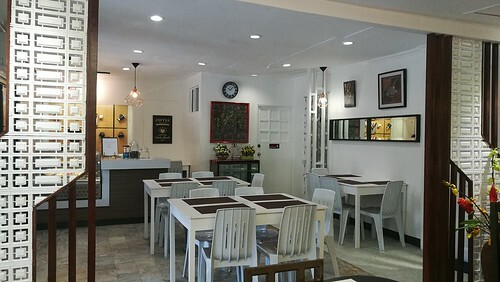 This new resto which opened last September 12, 2018 is a great choice for those living in and around Buhangin area in the city. Perfect for family gatherings and special occasions. 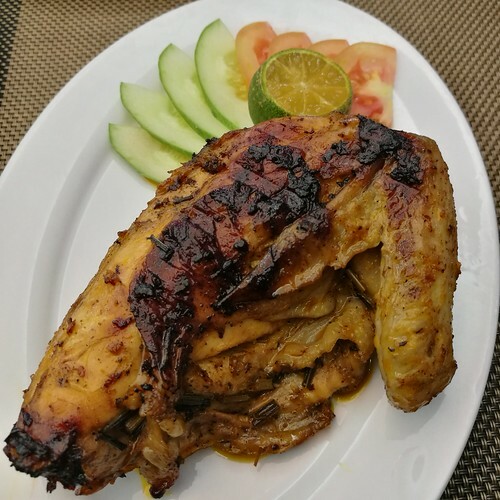 It is a perfect choice if you don’t want to go far, avoid traffic or don’t want to go to the malls or downtown area just to dine out with family or friends. 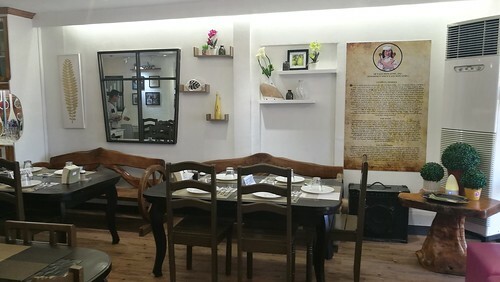 It is nice to find a cozy and beautiful place to dine with the family in this part of the city. I wish we have a place like this in our neighborhood too. 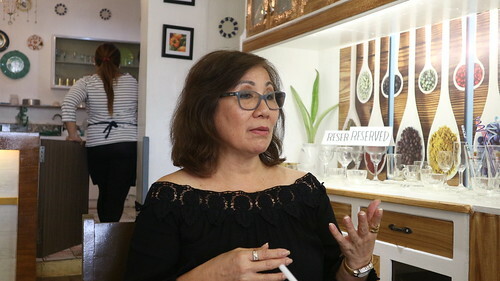 Last September 22, I visited the newly opened resto for the first time. I was the first one to arrive at Eden’s by Mommy Gaya for an early lunch. I met Maam Joy or Maam Ligaya Roque who’s family owns Eden’s Lechon which has branches in Victoria Plaza Mall, Gaisano Mall and Robinson’s Supermarket in Abreeza Ayala Mall. 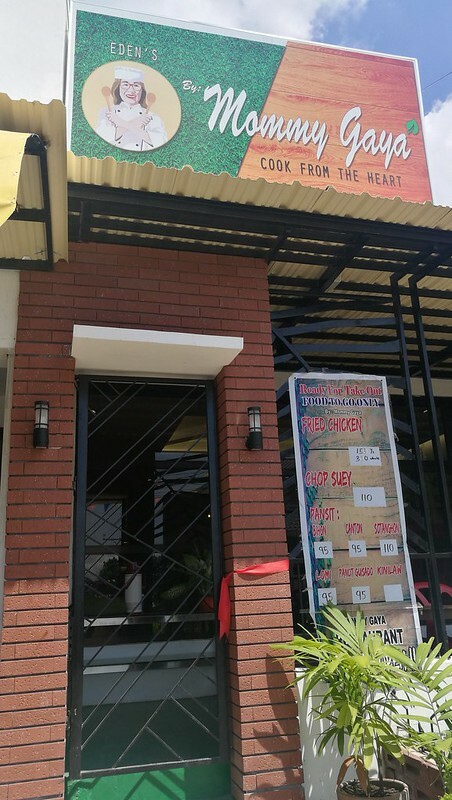 Eden’s Lechon which started in late 2000 is now called 4R’s Lechon ATBP as of 2016. Eden is Maam Joy’s sister Eden Guira, a known meat broker in Bankerohan Public Market and supplier of meat in supermarkets in Davao. They have another sister, Charito Bersabal. Maam Joy was very accommodating and friendly. 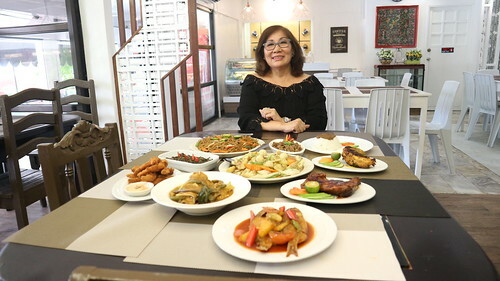 I enjoyed listening to her story of how she came about with the recipe of their popular puto bumbong that I loved to order in their stall in Robinson’s Abreeza. 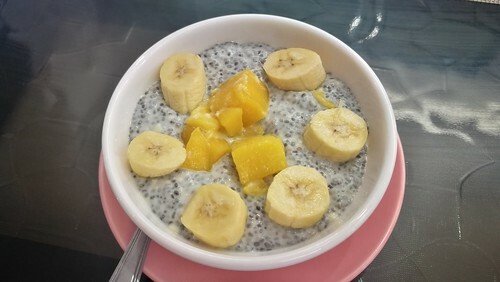 While listening to her, I was also enjoying finishing this healthy bowl of quinoa with slices of fresh banana and mango. This is very filling for breakfast when you happen to be at Mommy Gaya’s. 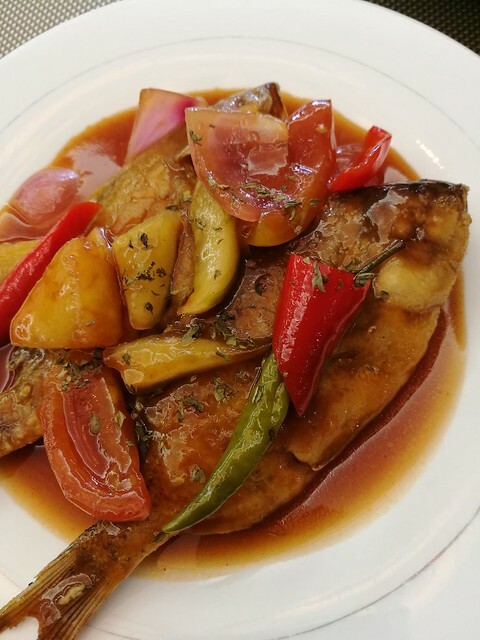 Now going back to their puto bumbong… it is available all year round here in Davao and not just during Christmas season as you might expect it to be. Yes we get to enjoy Eden’s puto bumbong anytime of the year when the craving for it strikes. At Mommy Gaya, they have their new version of serving the puto bumbong. 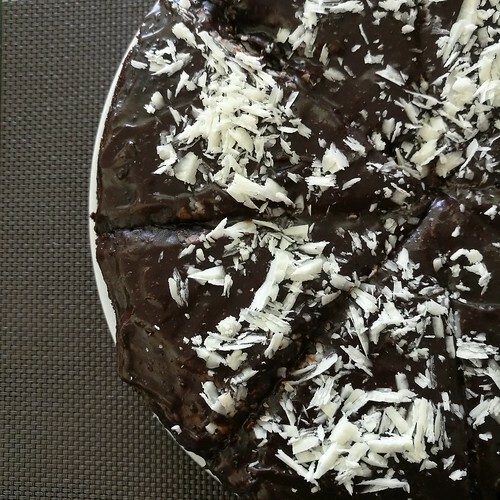 It is being served along with slices of ripe mango and delicious macapuno. 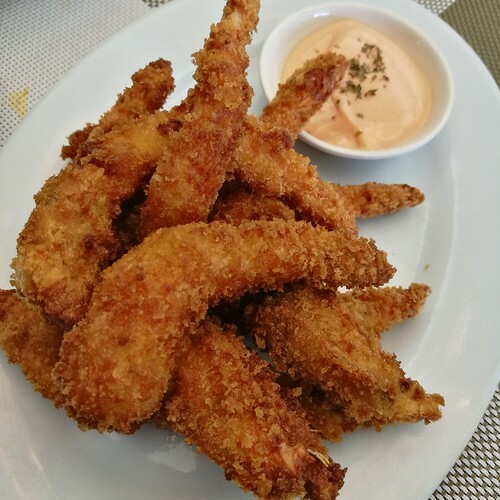 Maam Joy said that this is best eaten as soon as it is served and that you should have each all three for each bite to enjoy the flavors combined in your mouth. Well, take note of that when you order this. 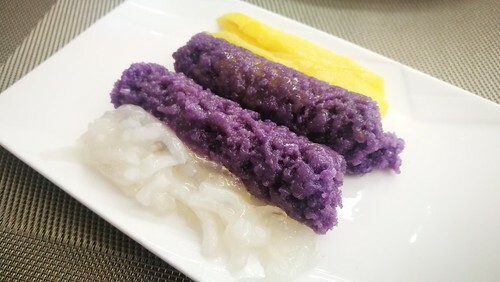 Just take one quick snap for Instagram and enjoy the puto bumbong immediately. She also shared and showed to us an old video clip of her guesting at Luwag ni Ian with no less than the talented host Ian Ray Garcia. They were cooking puto taktak in this video, one of their popular kakanin product. Here below was a quick photo snap of Maam Joy before we went on to enjoy lunch at Mommy Gaya’s as she was telling us to enjoy the food while it is still warm. They serve not only plain rice at Mommy Gaya’s. They have pastil rice for only P25. 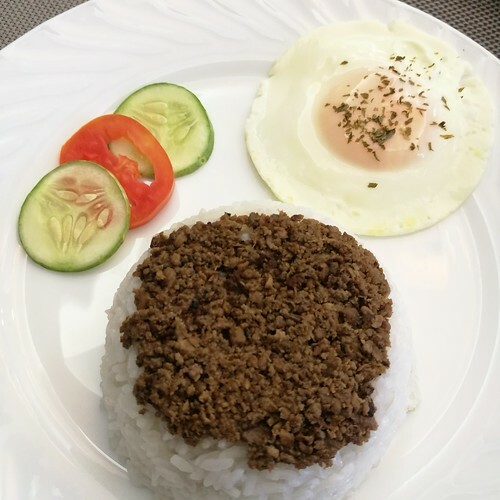 Or have it served with fried egg all for P40. Yes you can say, rice pa lang ulam na! Honestly, I can just have this for lunch. It is delicious and very filling already. Not to mention I finished the bowl of quinoa earlier. 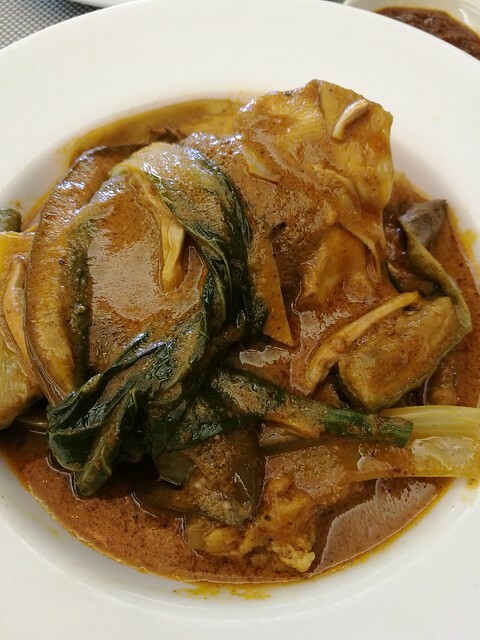 Kare-kare is a specialty in Mommy Gaya’s. I like their kare-kare especially the sauce. They serve it with bagoong, separately. 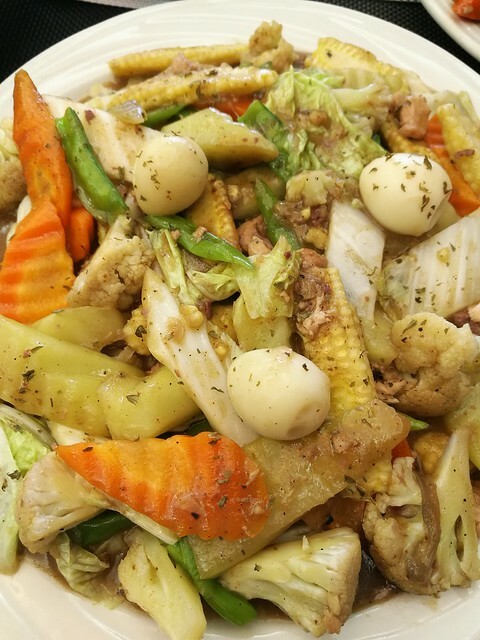 They also have this hearty serving of chop suey for those who love veggie dishes. It can be good for 3-4 persons. An order costs only P110.00. Many of their customers who live in the neighborhood would drop by to order this dish for take out. My elder sister would love to order this dish if ever she will get to bring us here for our family gatherings. She loves chop suey and other veggie dishes. 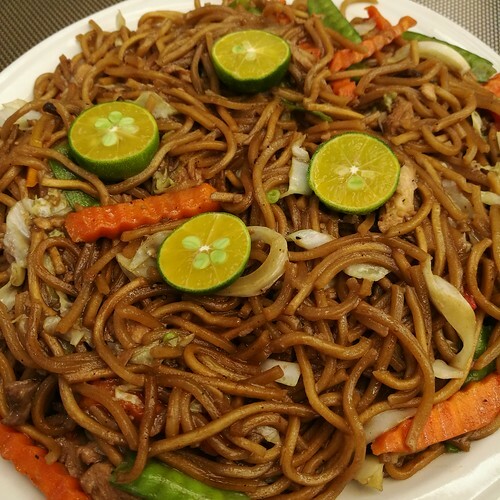 The pancit is a fave Filipino dish for most families during gatherings for special occasions. This reminds me well of a fave pancit we used to order during Sunday family gatherings in our parents’ house. My mom will love their sweet and sour fish. This is what she usually requests and orders when we have family gatherings on Sunday. 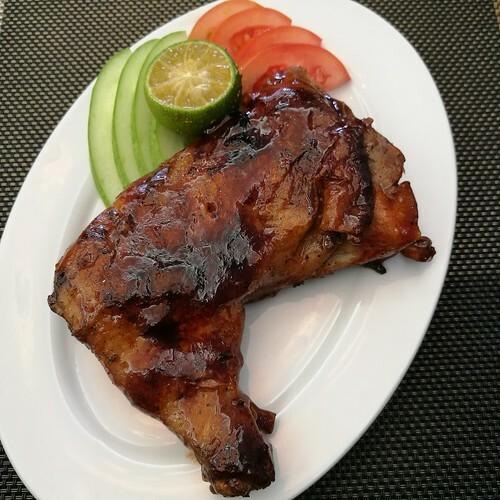 For chicken lovers, they have a few dishes to choose from including this delicious Chicken Inasal. 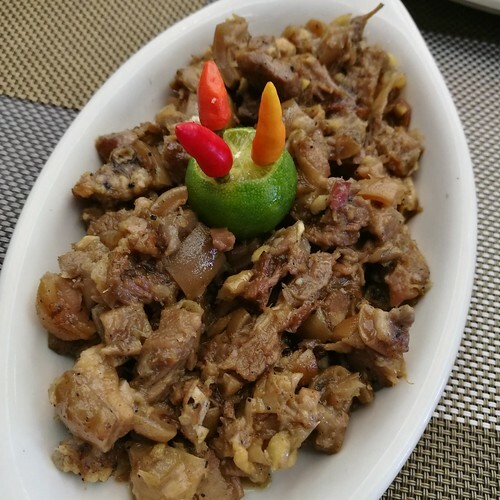 They also have pork sisig. 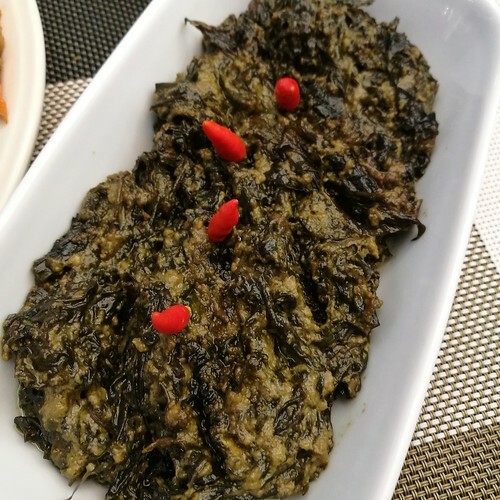 And of course, my fave dish during that lunch is Mommy Gaya’s really flavorful laing! One of the best laing in the city for me. They served this very refreshing drink of fresh lemon, pineapple and cucumber. 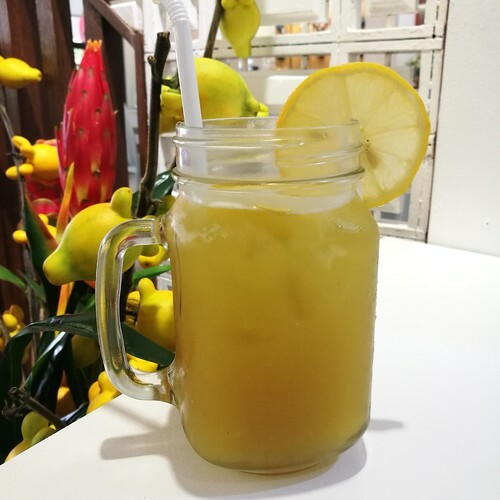 I wish all restos who serve powdered drinks will serve this kind of real fresh fruit juices instead. 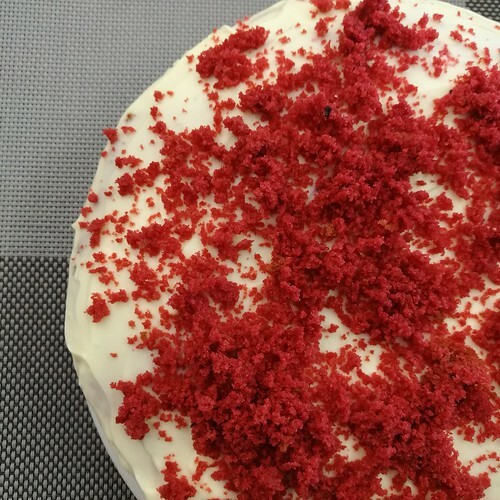 For dessert, they also serve cakes such as this red velvet cake and chocolate moist cake. You can enjoy these with tea or coffee. 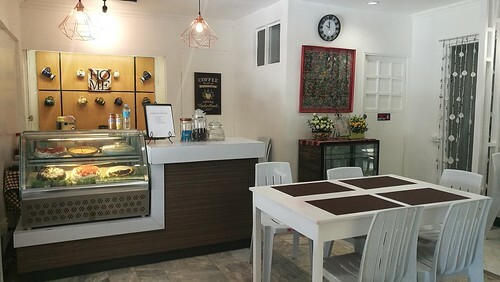 They serve cafe amerciano, cafe latte, cafe mocha and cappuccino. 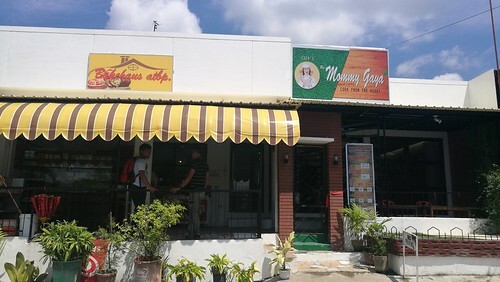 They also sell bread from their bakery just outside the resto. 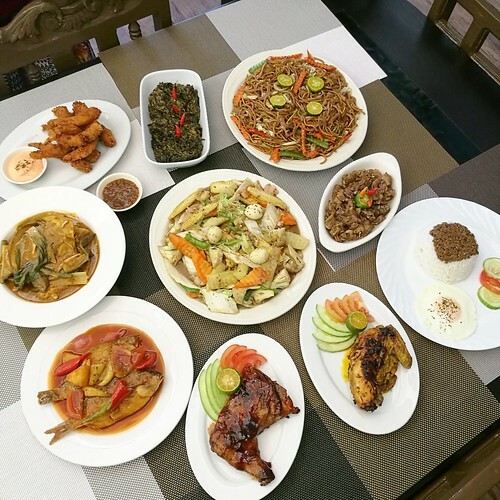 So if you are looking for a new resto in Davao City to dine with the whole family especially when you have family gatherings or for special occasions, please do visit Mommy Gaya Restaurant by Eden’s at Block 10 Lot 17 Phase 3 San Francisco Street, Laverna Hills Subdivision, Buhangin, Davao City. It is near the St. Francis of Assisi Parish. They are open from 8:00AM to 8:00PM.